I write this letter to you with a heavy heart as it pains me deeply to see the beautiful dream of a strong and proud Israel, the country that was expected to embrace what is virtuous, moral, and just, now losing its reason for being—as a free and secure Jewish state living in peace and harmony with its neighbors. The state’s social fabric is being torn apart by political divisiveness and economic injustice. The country is increasingly isolated, degenerating into a garrison state surrounding itself with walls and fences, vilified by friends and reviled by enemies. As the Prime Minister who served longest in this position, the country is virtually crumbling under your watch. The question is, where are you leading the people, and what will be in store for them tomorrow as Israel is now at a fateful cross-road and facing an uncertain future? Certainly you and those who follow you in good faith will disagree with my analysis, but I urge you to look carefully into the dire issues I am raising here as they unfold, for which you are now more responsible than any of your predecessors. You conveniently surround yourself with a corrupt political elite—ministers with no morals, no compunction, and nothing but an insatiable lust for power. They are consumed by their personal political agendas and absorbed in domestic corruption and intrigues. You have several such ministers—among them a Justice Minister, Ayelet Shaked, who endorsed the idea that “the entire Palestinian people is the enemy” which is nothing short of a call for indiscriminate killing that will include “its elderly and its women, its cities and its villages, its properties and its infrastructure”; an Education Minister, Naftali Bennett, who wants to annex most of the West Bank without giving a single thought to the ominous danger that such an ill-fated scheme would inflict on Israel; and a Cultural Minister, Miri Regev, who is out to stifle freedom of the arts and expression—who make a mockery of Israel’s democratic foundation and institutions. You backed three draconian bills: one would suspend Knesset members who deny Israel as a Jewish and democratic state; the second would withdraw funding from cultural institutions deemed “not loyal” to Israel; and the third would require leftwing NGOs who receive foreign funding to label themselves as such in any publication (while exempting privately-funded right-wing NGOs). You are enveloped in an ideological siege with a ghetto mentality and selective religious precepts, supported by a blind chorus of parliamentarians that only echoes your distorted tune. 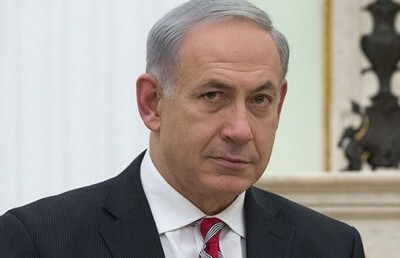 You manipulate the public with national security concerns and falsely connect security to borders, only to usurp more Palestinian land and defend the ruinous settlement policy. You delight in facing an inept political opposition—relegated to a permanent state of suspension—and are thrilled to see them decaying with no political plans to challenge you to find a solution to the endemic Palestinian conflict on which you politically thrive. With these lame opposition parties sitting on the fringes of political despair, they have now become easy to co-opt in support of your misguided domestic, foreign, and Palestinian-targeted policies, all in the name of national unity. More than 1.7 million Israelis are living in poverty—775,000 of whom are children—while hundreds of millions of dollars are siphoned off to spend on illegal settlements and hundreds of millions more are spent to protect the settlers, leaving Arab villages and towns with mostly Middle Eastern Jews to rot. You discriminate against Israeli Arabs (who constitute 20 percent of the population) with your government’s policy of unequal treatment, and then question their loyalty to the state. Radical Zionists like you claim that a multi-culturist Israel cannot survive – that apartheid, or something like it, is the only viable alternative – essentially repeating the argument which was used in earlier European history against the Jews themselves. I might add with deep sorrow that discrimination is not confined to the Israeli Arabs, but extends to Middle Eastern and Ethiopian Jews four generations after the establishment of the State of Israel. The May 2015 violent clashes between police and Jews of Ethiopian origin only reveal the depth of Israel’s social disparity. Demographically, the country is facing a grave danger. The number of Israelis emigrating from Israel is roughly equal to the number of those who immigrate to Israel. Nearly one million Israelis, representing 13 percent of the population, emigrated from Israel in the past 20 years. Several polls consistently show that given the opportunity, 30 percent of Israelis would consider leaving the country, mainly for economic reasons and the lack of a prospect of ending the debilitating conflict with the Palestinians. In particular, the immigration of young American and European Jews to Israel is consistently trending downward. Many of them have lost the sense of pioneering spirit and excitement that gripped their earlier counterparts who wanted to be a part of a historic enterprise unmatched by any in contemporary human experience. The PalestiniansYou treat the Palestinians in the territories like objects, to be used and abused contingent on the call of the hour. You violate their human rights with brazen impunity and never came to grips with the debilitating and dreadful impact of nearly 50 years of occupation. You scornfully claim, “The Jewish people are not foreign occupiers.” You never wanted to understand the meaning of being utterly overpowered by another, of having one’s house raided in the middle of the night, terrifying women and children, one’s village arbitrarily divided by the building of fences, one’s home destroyed, and of losing the sense of having any control over one’s life. Invoking memories of the Holocaust as if to justify the mistreatment of the Palestinians only debases the historical relevance of this unprecedented human tragedy. One would think that those who suffered as much as the Jews would treat others with care and sensitivity. That the victim can become a victimizer is painful to face, but it is a reality nonetheless. Having suffered so much does not give you the license to oppress and persecute others. Not that I exempt Palestinians of their role, but by you and your ministers’ own actions and policy toward the Palestinians, you are inciting hostility and ultimately fostering violent extremism. You use national security to justify your prejudicial policies, including the mistreatment of the Palestinians and the expansion of settlements that became the mantra of Israel’s domestic policy, using old and tired talking points about national security which are dismissed as empty, self-convincing gospel. You speak in support of a two-state solution, but you have never lifted a finger to advance it; your actions only point to the opposite direction. Yes, although the Palestinians have made scores of mistakes and are likely to make many others that will severely undermine their own national interests, they are here to stay. Israel must determine its own destiny and not leave it to the Palestinians’ whims. You claim that the Palestinians do not want peace, but by being the far more powerful party, you can take a calculated risk, and assume the responsibility to pave the way for eventually reaching a peace agreement instead of further entrenching Israel in the occupied territories. This will make the conflict ever more intractable when coexistence is inevitable under any circumstance. Time is not on Israel’s side, and even though they are suffering, the Palestinians can wait. You cannot freeze the status quo, and given the regional turmoil, violent extremism targeting Israel will only increase. Without a carefully thought-out plan to gradually disengage from the occupied territories, there will likely be a million settlers within a few years. This will amount to a de facto annexation of the West Bank, from which Israel will be unable to extract itself without perpetual violent confrontations with the Palestinians and risking a civil war, should a decision be made to evacuate a substantial number of settlers. Ending the occupation is not a charitable gift to the Palestinians. Only by accepting their right to a state of their own will Israel remain a Jewish and democratic state enjoying peace and security, instead of being drawn toward an abyss from which there is no salvation. Israel is the only country in the modern era that has maintained, in defiance of the international community, a military occupation for nearly five decades. The Israelis’ complacency about the occupation is adversely affecting Jews all over the world, and as long as the occupation lingers, anti-Semitism will continue to rise. What has added potency to the substantial rise in anti-Semitism in recent years is your disregard of the international consensus about the illegality of the ettlements, the policy of the continuing occupation, and your disregard of the Palestinians’ suffering and right to self-determination. Did you consider what would be the ramifications of what you said during the last election, which I believe reflects your true position, that there would be no Palestinian state under your watch? There will be no peace with the Arab states, Jordan and Egypt (regardless of how they feel toward the Palestinians) may well abrogate their peace treaties with Israel under mounting regional and public pressure, the wrath of the EU will be immeasurable, the US will lose patience (if it hasn’t already) and no longer provide Israel with automatic political cover, and the world will blame Israel for feeding into the region’s instability; much of this is already happening. Israel will constantly live in a state of violence and insecurity, but perhaps this is precisely what you want—to spread fear and use scare tactics to foment public anxiety by painting every Palestinian as a terrorist, as if the occupation has nothing to do with Palestinian extremism. On foreign policy a sound and constructive foreign policy is foreign to you, which is consequently alienating Israel’s allies and bewildering its friends. You wantonly discard diplomatic conventions and protocol; you willfully undercut President Obama by addressing a joint session of US Congress, challenging him on the Iran deal only to fail miserably, baffling Democratic and Republican leaders alike.